Join today and get free shipping off of any order! Is Japan Crate Worth It? Do you enjoy trying different cultural foods? If so, Japan Crate might be just what you are looking for! 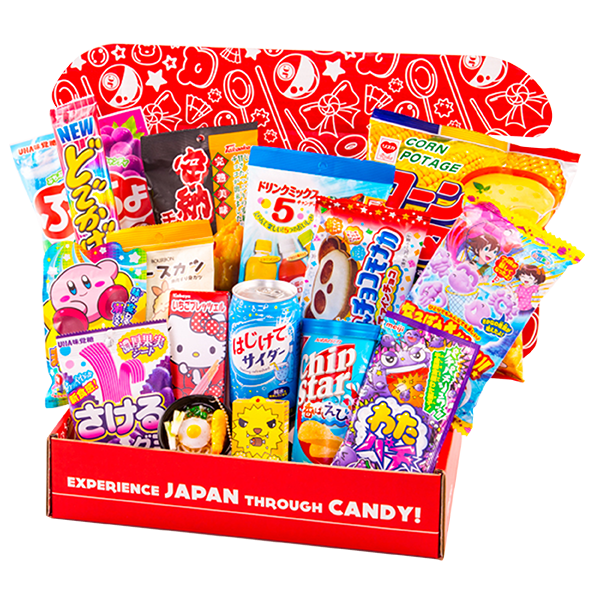 Japan Crate is a Tokyo-based candy and snack subscription service that packages and sends Japanese snacks to customers in the United States. Each month, Japan Crate customers receive a special snack bundle to ensure maximum freshness and authenticity. Japan Crate was developed by Hank Rao, who discovered that there is a limited supply of Japanese food in the United States. Rao also discovered that it was very difficult to ship food to the United States from Japan. Often times, it would take so long to ship that the snacks would end up melted and/or crushed. Continue reading this Japan Crate review so that you have all the information you need to find out if Japan Crate is truly worth-while. Premium Crate- $30/month, the premium crate comes with 15 items, including one Japanese drink, a "do it yourself" kit, a custom manga-zine, and a bonus item. Ramune Marble Gum- "Citrus-y and delicious ramune-flavored gumballs. These pack a small hint of fizziness just like a real Japanese ramune soda." White Chocolate Big Bar Z- "A big wafer bar similar in texture to a giant Kit Kat. A once crunchy bar soaked in smooth, decadent white chocolate." Little Gang Grape- "This pouch is packed with grape fun. Gum that starts out with a pop rocks-like crackle and ends as a tangy grape gum." Red Potion/Black Potion- "How do you chew gum? Find out where gum first hits your tongue with this mouth painting gum. Red and Black cola gum that changes your tongue colors." Snow Pea Chips- "Crunch snow pea chips made from real snow peas." Choco Kinako Mochi DIY- Build a mini chocolate mochi with this unique DIY kit. Add water to the white discs to activate the mochi, dip, and enjoy." Kirby Blend-Blend Mix Gum- Create your own gum flavors using the five included base flavors. Watch out for grey! It's a prank color that blocks sweet flavors from your tongue." Matcha Green Tea Peajoy- "Peajoy is like the inside out of Pocky. Crisp, cruncy biscuit sticks stuffed with creamy, green tea filling." Talking Puppy Chocolate- "The cutest crispy rice chocolate bar around with a cute puppy on the package and a heat-activated puppy pun joke card inside." Kawaii Ramune- "This kawaii ramune is a new shape for marble ramune. Pop the marble from the cap using the tool provided and enjoy." Magic Bubble Jelly DIY- "Mix the powders with water to change the color and the texture of this candy. Grape flavored magic jelly that changes in front of you." Happy Paws Gummy- "These juicy peach paw gummies are so soft that you might think you are holding hands with a kitten." Choco Banana Pocky- "The newest release from Pocky, these are a tasty and genius spin on the classic chocolate covered banana. Crispy chocolate sticks covered in yummy banana." Matcha Green Tea KitKats- :A mellow and creamy green tea flavor, these green tea Kit Kats are made using real Uji Gyokuro tea leaves from Japan." Bonus Gift- "Receive 1 of 10 figures as a bonus item! Totoro and his friends are friendly forest spirits from the anime, My Neighbor Totoro." To get started today, simply visit japancrate.com, click subscribe, and make your selection. Once you make your selection, simply wait for your snack crate to reach the doorstep of your home. The premium crate is regarded as the most economic selection. You pay $2 per item, as well as receive a few extra goodies for no additional cost. Japan Crate offers subscriptions for one month, three months, six months, and an entire year. If you sign up for the year subscription, Japan Crate will offer you an additional discount every month. You end up paying $27 per month for the premium crate if you subscribe for a full year. Japan Crate also offers several other subscription services such as Kira Kira Crate, which is a Japanese beauty product line. Japan Crate also offers Umai Crate, which offers a rare collection of Japanese instant noodles. Products in boxes are not available in the United States, apart from Japan Crate. Every box comes with a booklet that explains each item. Its very easy to cancel your subscription if you decide that you no longer want to receive Japan Crate, or you need a break. Every month, one lucky subscriber receives a Sugoi Crate, valued at over $500. Items you enjoy can't be purchased outside Japan Crate in the US. Japan Crate takes great pride in their packaging. Snack crates are delivered in large, red cardboard boxes via UPS. Each snack crate comes with a comic describing their monthly giveaway, as well as a description of the snacks within the box. When you open the box, you will see an interesting design on the inner flap of the lid as well. The boxes are typically packed full of snacks and goodies. More or less, depending on which crate you selected. Where does Japan Crate ship? Just the United States? Japan Crate will ship their snack crates anywhere in the World excluding the following countries: Argentina, Colombia, Chile, Brazil, Russia, Ecuador, Guatemala, China, Hungary, Romania, Bosnia, Syria, India, Saudi Arabia, Indonesia, Israel, United Arab Emirates, and Mexico due to their high percentage of lost packages. You can cancel your subscription in your account settings. Under your subscription, on the left-hand side, there is a button to edit your subscription. Scroll down to the bottom of the page and you will see the “cancel subscription” button. Please be sure to cancel your subscription before your billing date to avoid renewing your subscription for the next cycle. Are there any promo codes or coupon codes to apply on my order? After adding the crate to your shopping cart, you will find a coupon code or gift code box below the total. Be sure to click the apply button! You can proceed to check out as normal from there. The Japan Crate payment system needs to verify the CVC/CVV code along with the billing zip code. Your billing address and shipping address do not have to be the same. Japan Crate simply needs to be able to verify the zip code on the card. Japan Crate is awesome for experiencing the Japanese culture through food. The treats are yummy, the labels are easy to understand, and there's great value for your money. The only downfall is that most products are not available in the United States, so you can't run out to the grocery store and buy more of any product from your Japan Crate that you really enjoy. Japan Crate is wonderful! I never thought I would be able to have access to this great selection of Japanese treats. I feel like it is little bit on the expensive side, but I really do not mind paying a little extra for treats that I would not have been able to try without Japan Crate. They are amazing and I highly recommend trying them out!! We agree- JapanCrate is awesome and totally worth the price for getting authentic and rare Japanese snacks! Thanks for commenting; we enjoy hearing from you! Have a great day.